Turns out there’s no such thing as a free lunch, but there is such thing as a free book. I recently got a Kindle (the old kind, without a touch screen or 3G or a color screen or anything) for an internship I’m working on. I figured I’d get some books to read while I was at it (might as well use the Kindle for what it’s intended), so I opened up the Kindle Store on my Kindle and prepared to buy a few books. 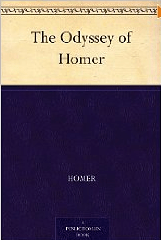 The first book on my list was Homer’s Odyssey, which I’m currently reading in English class. I scrolled though some of the results looking for the cheapest copy. $12.50, $2.50, $0.00, $1.00, $2.00… hm, looks like I’ll get the $1 one… wait, what?!? That’s right – there was a completely free version of the Odyssey available on the Kindle Store. I selected “download”, and in a few seconds The Odyssey popped up on my home screen. Simple as that. I figured that this was, after all, the Odyssey, so it would definitely have a free version available. 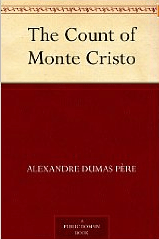 How about less-famous The Count of Monte Cristo? Yup, free version available too. The Art of War? You guessed it. I spent an hour happily browsing through the free store (you just need to know which book you want) and filling up my Kindle with free stuff. At the end, I had the following on my Kindle. Not too shabby. Yup, if you just search the titles, you’ll find that there are free versions available. There are probably plenty more well-known books with free versions available that I didn’t include here. By the way, if you registered the Kindle with the same e-mail that you use for your Amazon account, you can find books online and have them sent to your Kindle. So you can get free books without even having to have your Kindle with you. Neat, huh? Ah, I love free stuff. Especially free books. Previous Previous post: How DO you pronounce “hathix”?